Looks like you have a nice place to call home and work on your Jeeps. Is that your SRT? Thanks Rymanrph. It is an awesome place, but I do not own it. I just fill it up with my stuff :brows: . This place is right around the corner from my house . No more 35 minute drive to work on our projects. The SRT belongs to the property owner. That is a fast car. We will see if this was the complete reason for the oil leak . . .
Hi, I was wondering did you ever finish developing your rig? How have you been?!? Great to know you’re still on here. a long time indeed! how's the family? how's the truck? Hello Pete! This is by far the best online group that has ever been. Picture trail just caught on that I have 62 bytes of pictures on a max of 20 lol. Had to update my account to keep my build-up page active 😬. My family is great , thanks for asking. Best news is that I had a son 4 years ago and that is one reason for my absence. Truck has been retired because I need a something I can haul the dog and kids around. 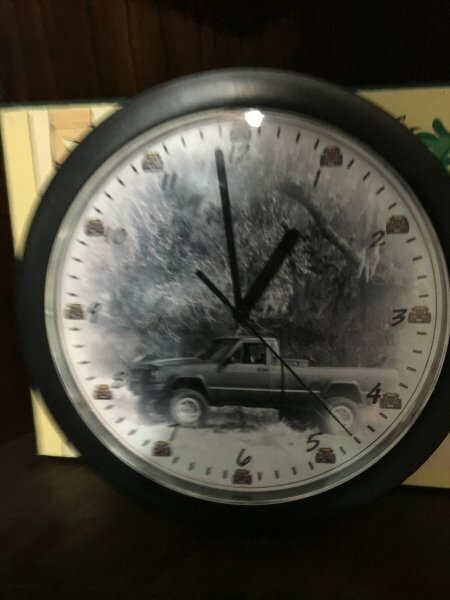 Don’t worry, I replaced it with a 2 door XJ. Keeping it Jeep. By the way, I hope your pup is still jeeping. 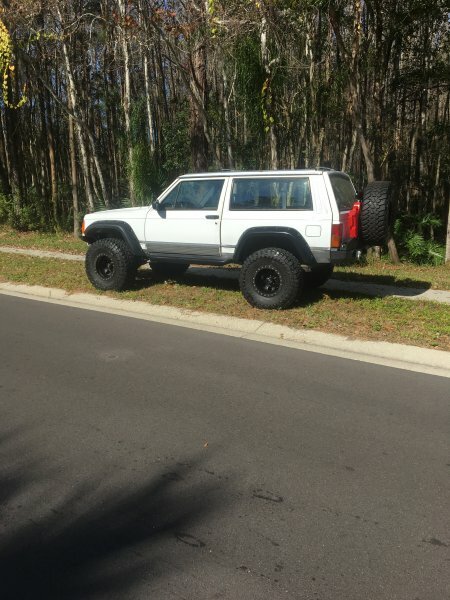 I will get a picture of my Cherokee up here. actually, we now host your pictures here on CC. it came out of the photobucket debacle. one of our members was kind enough to write some code that went through our whole database and saved every pic to our own space on a server. no more reliance on the big hosting companies to keep our info safe! new pics can simply be dragged off the desktop into your text box. Drachir, so the blue long bed is no longer in your possession, or does "retired" mean it's just parked. Ever make any progress on the dually? We used to chat about that a lot. Congrats on the son! Mine is graduating high school this year.........time flies. Pete that is so great!! I will get rid of my PictureTrail account 👍🏻. Thanks for letting me know. Thank you. Yours graduating high school-nice. Next is college - time does fly. 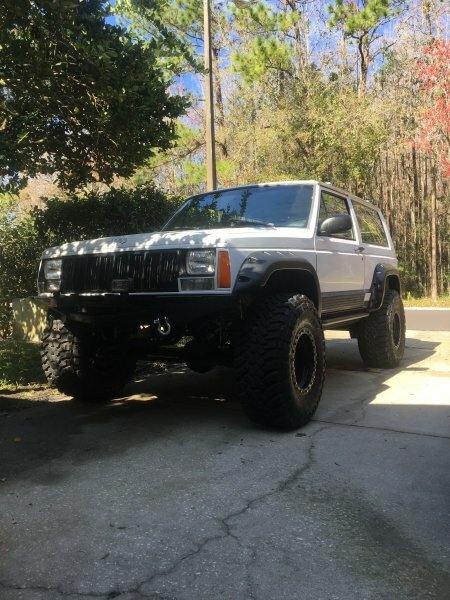 you'll need to start a build thread for that Jeep It's required by law or something. Let me know when you are ready to sell that dually kit, depending on the timing I might be a buyer. Really!? 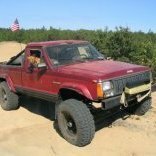 Is there a other Jeep build up page? WOW! Long time no see! Welcome home. I hope you're doing well. Shelvyluvv how the heck are you! Thank you, I forgot how great everyone is here. Glad to be back. I pulled this out for my son a few months ago. Blahtz made it for me. Still works! Great to see you again, can't believe your son is already 4. Our daughter will be 15 in 2 months, I can't remember when you met her but it was a long time ago. Great to see you back on here, take care and hope to see you in person sometime soon! Buck! Good to hear from you. I can’t believe he is four either. Fifteen - wow! Yeah I remember you driving over to the shop with your family. It has to be at least 6 years ago. How is the MJ? Let’s get together soon.